You should probably refer to this blog post for additional info..
Revit Files are Clogging Up My Server Storage! Revit makes *.001.rvt Revit files in the same Folder as the Revit File. The amount of these backups are controlled by SaveAs-Options-Maximum. Every time you save, a backup will be created. The highest number will be the latest. In my opinion 3 is plenty. Default is 20, too many! You can be reminded to save every so often by setting Application Menu-Options-Save Reminders. Set to 30 mins. You can restore a backup file (*.001.rvt) by renaming (remove the .00) it and opening it. So as an example a file called PROJECTA.001.rvt would be renamed PROJECTA.rvt. Does not have *.001.rvt like Standalone. You can be reminded to save every so often by setting Application Menu-Options-Sync to Central Reminders. Set to 30 mins. There is a Local backup folder in same location as Local Revit file. It contains files that you shouldn't touch. You can set the amount of steps a Local Revit File can be rolled back in SaveAs-Options-Maximum. The default is set to 20. Best practice, set to 5. There is also a Central backup folder in same location as the Central Revit file. It contains files that you shouldn't touch. You can set the amount of steps a Central Revit File can be rolled back in SaveAs-Options-Maximum when creating the Central. The default is set to 20. Best practice, set to 5. High numbers will use a lot of server space. (You will need a good backup procedure on your server because limiting this number will limit your recovery options from within Revit). When archiving Revit projects it is possible to save space by deleting the Central backup folder. As soon as the Central Revit File is opened or a Local Revit File is created a new backup folder will be created automatically. Backups are restored from Collaborate-Restore Backup for either Locals or Centrals. Restore Backups cannot be undone. Cannot reconnect to Central if you are separated even if you 'Restore Backup'. For these reasons I rarely recommend using Restore Backup. If you get a corrupt Central Revit file, use one of the Locals to re-create a Central. This almost always is the best option. If all the Locals and Central are corrupt, send the Central Revit File and Journal Files to Autodesk and wait (about a week) to get an older restored version returned to you. If you can't wait that long, go to your general server backups and get yesterday's Central file. I haven't seen too many corruptions in my 10 years of Revit consulting. If a user ignores the Sync to Central reminders long enough they will disconnect from the Central. They will lose their work as there is no way to reconnect. So Sync to Central every 30 mins. 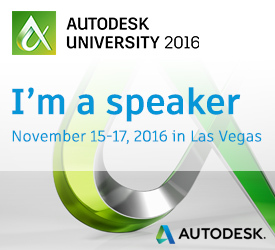 Here is a good post from Autodesk about the causes and solutions to Data Corruption. Revit In Plain English by Jay Polding is licensed under a Creative Commons Attribution-NonCommercial-NoDerivs 3.0 Unported License. Based on a work at revit.blogspot.com.